Hi friends! How are ya? Happy Thursday! Anyone else getting excited for the long weekend ahead? Are you traveling or doing anything fun? It’s rained all week this week, which has been beautiful to watch, but definitely challenging on the kiddo entertainment front. At least they’re still mesmerized by the fact that water comes from the sky, but I can’t count on that forever. I think we’ll be doing a lot of Pinterest Fail-type craft projects (which will be my fault, not theirs, haha) later today. 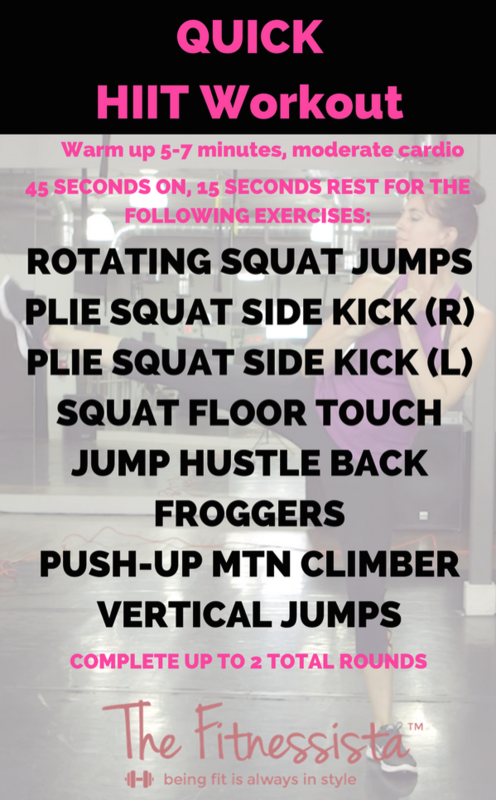 For this morning, I have an all-new workout for you! This is a quick and intense bodyweight HIIT workout. I LOVE HIIT training for so many reasons (so much that I wrote a book about it), but it’s such an efficient way to build fitness/power, increase heart health, and burn a ton of calories and fat in a short amount of time. Plie squat side kick: For this squat variation, you’ll take a SUPER wide stance and turn your toes out. As you sink down, keep your chest lifted and endeavor to get your thighs parallel to the floor. Make sure your knees extend towards your toes but not past your toes. Step one foot in slightly as you kick to other out to the side. Make sure to press out through your heel! Jump back into a wide lie squat. Squat floor touch: Get into a wide squat position (booty LOW and back), and touch the floor with one hand. Keep your abs engaged and chest lifted. Powering through your heels, spring up and bring your legs together, reaching your arms towards the side. Jump back into your wide squat and touch the floor with the opposite hand. Jump hustle back: Start with soft knees and jump forward as far as your can, landing in a low squat with your core engaged and chest lifted. Walk back quickly to your starting point. Exhale as you power through your legs, and try to jump farther than you did last time. Hustle back and do it again. Froggers: Start in plie squat position. Bring your hands down to touch the floor (keep your chest up). Jump back to a plank position, and jump your feet back to the outside of your hands. Keep your hips low, and chest lifted, as you bring your hands off the floor. Push-up mountain climber: Get in plank position with your wrists under your shoulders. Bring one knee towards the elbow on the same side. Move back to plank and switch to the opposite side. For more of a challenge, move as quickly as possible. Vertical jumps: Be sure to land with soft knees and exhale to spring up. Feel free to eliminate the jump (calf raise instead) or to add a tuck jump to make things more intense. So tell me friends: how often do you HIIT train?! What’s your favorite explosive move for intervals? Any fun rainy day ideas to do with the kiddos? I probably only do HIIT once or twice a month. It’s hard to fit in all the different kinds of exercise we should be doing! I run and climb, and am trying to add in strength training more consistently. I save HIIT for the times when things blow up at work/home and I have only a short time to squeeze in a workout. 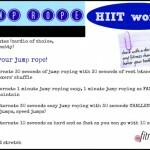 I love HIIT and I LOVE YOUR HIIT BOOK! I’m not doing a lot of jumping or HIIT right now — but I do love the rotating squat jump — often seen in BODYATTACK too! 🙂 Happy Thursday, Gina! Rain? What is that? HAHA Send some my way. It’s too hot here too soon! I really enjoyed reading your HIIT book. It was well written and you could tell you really know your stuff! This morning I did your most recent treadmill workout and was a sweaty mess after. Loved it! happy to hear you liked the treadmill workout, too! I love HIIT – especially now that ClassPass has lowered its membership to 10 classes/month, I rely on home workouts to supplement that and probably do it twice a week. I go back to your old Shape Up workouts on YouTube often! Hey girl! 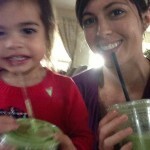 Can you do a post on what you are currently getting from Thrive every month and what you’ve been loving lately? I’m interested in giving them a try. Thank you! yes, i can definitely do that! We have been having a super rainy May in New England too. I know the plants need it (we’ve been technically in a drought) but I’m craving some sun! 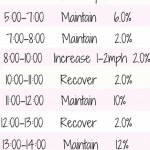 I love HIIT because I don’t really like cardio so the intervals make it fly by! My gym has a tabata class on Monday mornings – great way to start the week. yes! we finally got sun today- hope you get some soon! This is perfect for a quick afternoon workout. Might even have to try it out today. =) Thanks lovely! This is the perfect thing to do in my hotel gym! I needed something I could do quickly in the morning, this is perfect! My favorite time to do HIIT workouts is when I’m short on time and can’t make it into the gym. 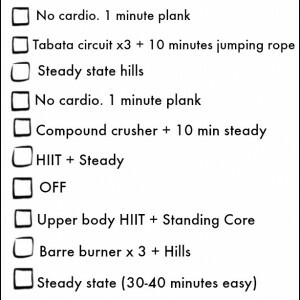 In about 30 minutes I can get in an amazing workout! This looks like a great workout! 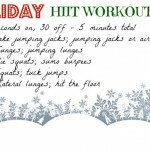 I typically do HIIT workouts at least twice a week. I get up super early to do them before work because when I get home all I want to do is hang out with my little man (9 month old!) 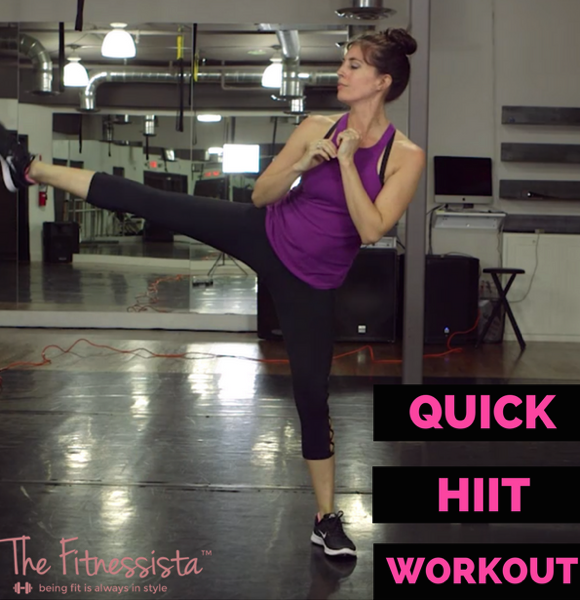 HIIT are great because they don’t require a lot of time but are such a good workout! this looks intense! I did a quick HIIT yesterday with box jumps, bosu pushups, dips, weighted squats and russian twists. My arms feel like jello. May have to try this one out today!Thanks for sharing! 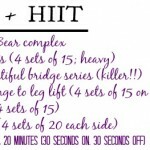 I’ve been hiit training a bunch because my shoulder is messed up can’t wait to try this tomorrow! I HIIT train 1-3x a week, depending on how spunky I’m feeling 😉 haha. sprints are always great, but I love anything plyo! Especially box jumps!